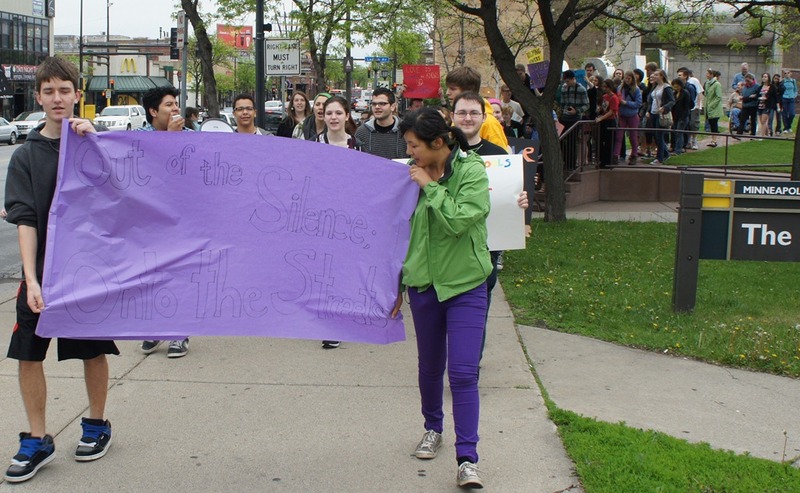 Northfield area high schoolers and a group of other high school students marched down Hennepin Ave today in Minneapolis from Uptown to Loring Park in an event they titled Out of the Silence, Onto the Streets. See my Thursday blog post for more background. 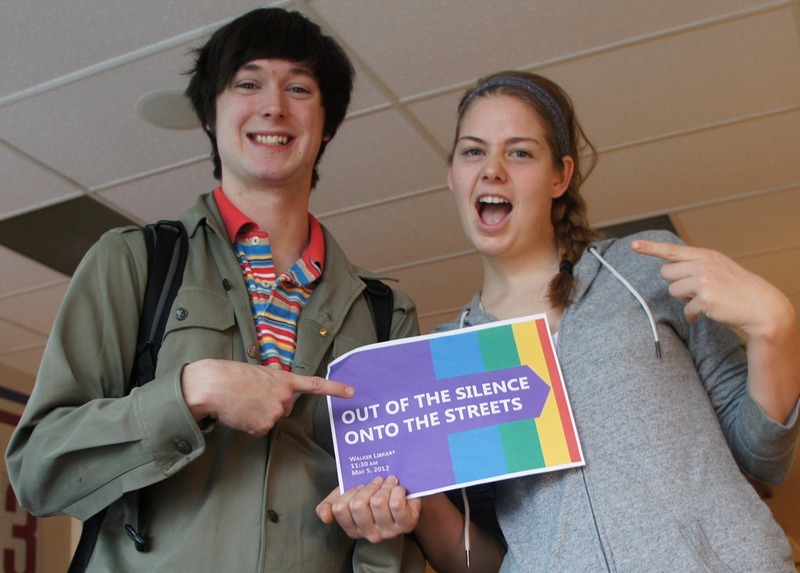 Local high school students Cliff Martin and Sofie Scheuerman stopped by my office at GBM today to let me know that they and a group of other high school students are leading a LGBT march on Saturday in Minneapolis titled Out of the Silence, Onto the Streets (Facebook event page). We believe in the safety and equality of all youth; that everyone in the classroom is entitled to a safe environment. We also believe in the importance of the youth voice. We are youth promoting the acceptance of all genders, sexual orientations and gender expressions. This march is driven by our communal beliefs, and it aims to apply our zeal by exposing people to the challenges that face the LGBTQ community. We envision creating a welcoming environment for all voices to be heard.